The scope of the subject is significant at both national and international level because the ever increasing role of economics is being understood by nations & organizations. There is extensive demand for economic researchers, analysts, consultants and strategists who are well trained to understand the changing economic trends. Economic advisors are now seen as an inevitable part of any small or large scale organization. The field is highly interesting and offers a diversity of subjects within it. Banking, industrial sector, trade, commerce, taxation, finance, insurance and several other areas require basic to advance knowledge of economics. Thus, in order to establish a shining career with great economic growth, economics can serve as the right career option. It is a social science, which studies the production, distribution and consumption of goods and services. You must understand various resources like raw materials, lands, capital, technology and labour, as well as relation between demand and supply, exchange rates, taxation and inflation. How do you become an Economist? You have to pursue a 3 year (Hons) degree, then a Masters degree from a generalist college or university or a specialised varsity like the Delhi School of Economics to study Economics. You can do a B.A (Hons) , MA, m.Phil or PhD in Economics. What are the different areas of Economics? The career has widened tremendously in the last two decades because of globalization and rapid economic development. The growth of any organization as well as a nation depends upon the economic policies undertaken. Economists are well qualified specialists and strategists who analyze, devise and predict economic trends. Based upon their theories and derivations, policies are implemented as action plans. 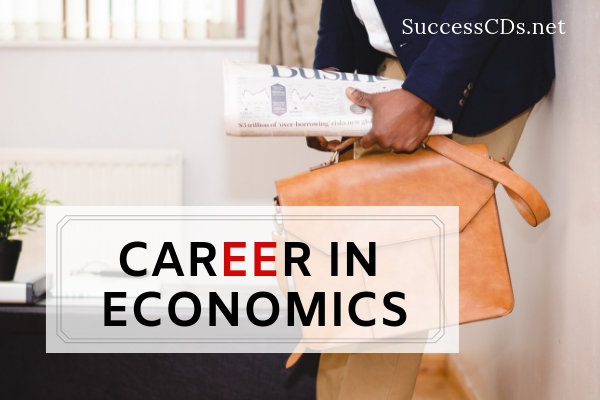 Career in economics is adorned with honor, recognition, knowledge, skilled expertise and financial gains. The scope of this sector is constantly increasing. Post the economic crisis and recession era, the role of economists have increased as they tend to predict the rise and fall of the world market economy. This industry is the basis of every other sector and hence it has tremendous prospects to offer. Why not pursue a career in such an amazing field where intellect and economic gains come hand in hand. What is the average economist’s salary in India? The average economist’s salary in India is Rs 851,486 per annum. Which are the Top Colleges to study Economics at Undergraduate level? How do you become an economist? You first have do study Economics (Honours) at an undergraduate level for three years, i.e., do a B.A. Hons in Economics, then an M.A. in Economics before pursuing an M.Phil. or a PhD. in order to become an economist. You can start working as an economist as soon as you have completed your masters and pursue your M.Phil and PhD simultaneously. What are the skills required to make a good economist?